Amplifying Silence, Magnifying Stillness. Sites of Absence, Symptoms and Loss. 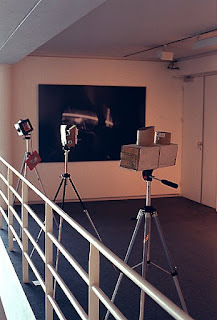 Peter Cleutjens designs and builds pinhole cameras. 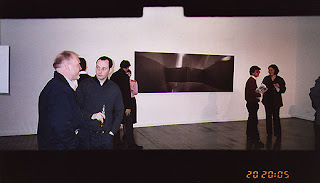 Their unique construction, the experimental nature of their use and the way in which light is used during the exposure of photographic film, within them, creates unique images. These images suggest habitable spaces, the true nature of which remains enigmatic. Having the mien of science-fiction scenarios, they are nevertheless strongly related to modern architecture. Interior and exterior are confused while the elements of the images that are more credible, more tangible, are in fact part of the photographic illusion. 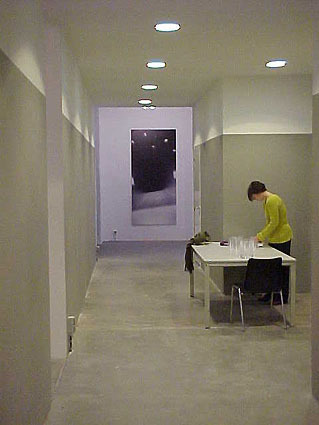 The strong sense of absence conveyed by these images is grounded in the fact that it is difficult to establish just how these spaces would be inhabited. These works document thoses dynamic boudaries between memory, imagination and material fact.